With its U.S. release date quickly approaching, genre distributor Terror Films is releasing two clips from Stephen Cognetti’s found footage, haunted house feature film debut, HELL HOUSE LLC. The clips (which can be found below) are titled: “What Really Happened?”,“How Many Freaks Did We Have?”, "Sleepwalker", "Middle Of The Night", "Where's Tony?" and "Searching The Basement". Five years after an unexplained tragedy on opening night of a Halloween haunted house tour (Hell House), a documentary crew travels back to the scene of the disaster, to investigate the events of that night. During an interview with one of the original staff members, they are given never-before-seen footage taken by the staff of the haunted house. 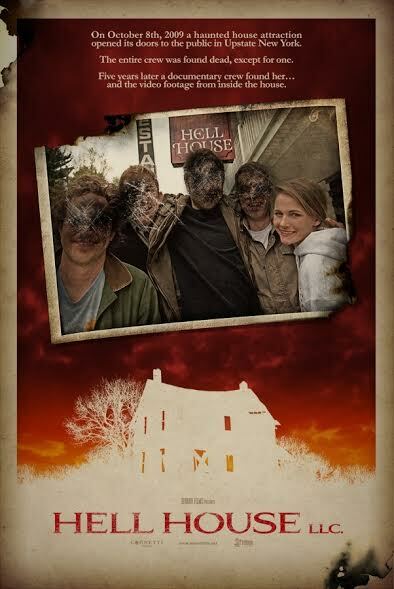 It reveals the terrifying truth about what really happened on the opening night of HELL HOUSE!